Your Space Marine Heroes collection is complete? All nine Super Soldiers from the Blindbox freed, assembled and painted? 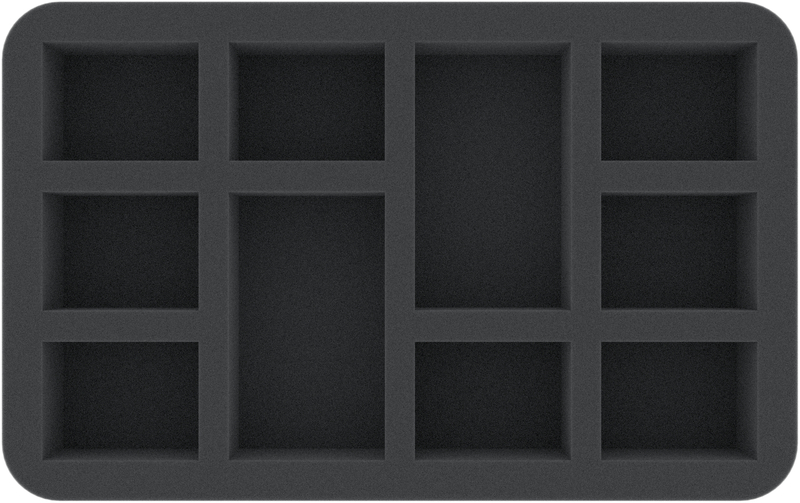 And now you ask yourself how to store your champions? 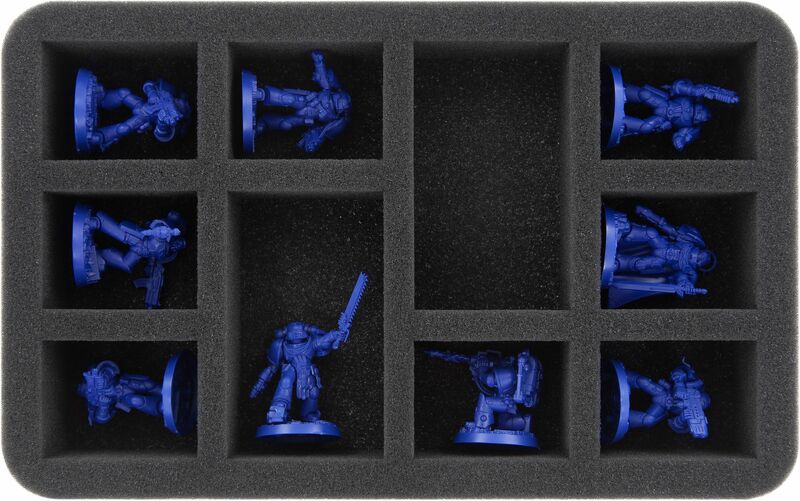 Then your problem is now solved with our Half-Size insert for the Space Marine Heroes Series #1. Here every Space Marine gets its own custom-fit compartment. Brother-Captain Anaton Thassarius of course gets an extra large compartment. 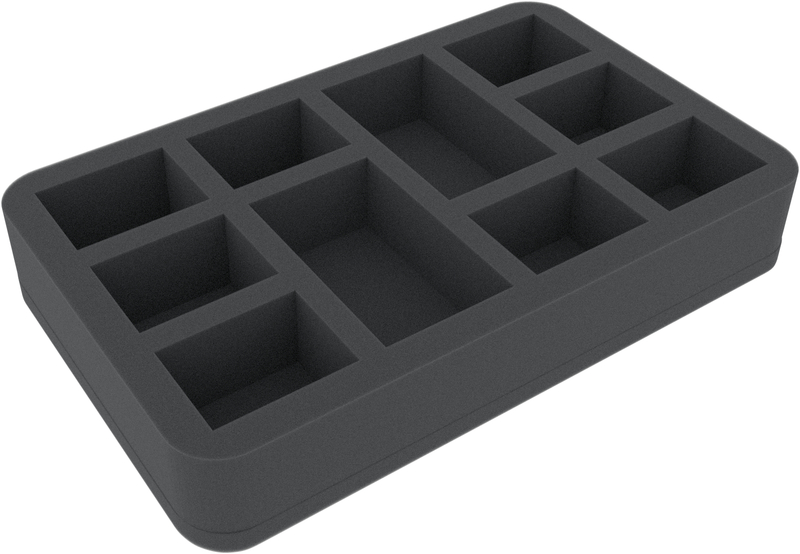 Even if the tray is not made of Ceramit, but of foam, your miniatures are still optimally protected against damage. Sensitive parts of the models, such as the krak missile Valatan Remus is currently sending on its way, are thus accomodated in a break-proof manner and the painted models are spared from scratches and flaking paint.